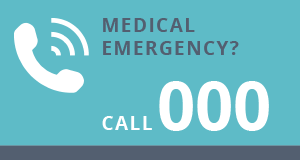 Our Doctors are all qualified and attend training sessions to ensure that they are kept up to date with medical treatments, availability of treatments and changes to pharmaceuticals and medical consumables. 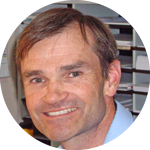 Simon graduated from Melbourne University with MBBS in 1992, followed the GP career path to FRACGP and has been practicing in Myrtleford since 1999. 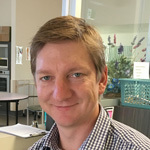 His Diploma of Obstetrics was obtained in 1997 and he delivered babies at Alpine Health – Myrtleford until that service finished in 2016, and now does antenatal shared care for women booked at Wangaratta or Wodonga..
Simon is a supervisor with Murray City Country Coast GP Training (MCCC) for registrars and medical students from Melbourne University. Steve joined Standish Street Surgery in May 2004. He has extensive experience and a keen interest in diabetes, & high blood pressure. 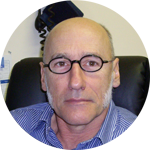 He is a supervisor with Murray City Country Coast GP Training (MCCC). He also speaks Italian and is a valued member of our team. Outside work, Steve enjoys the outdoors, being a farmer in his spare time. 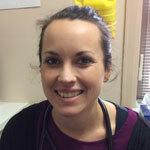 Julie joined us during 2014 after first coming to us as a locum Doctor and then became permanent part of our team. 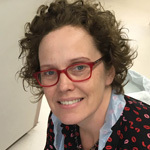 Julie is extremely experienced in many areas of medicine and has an interest in Aboriginal Health, Women’s Health, Diabetes and Preventative Health. Sean joined Standish Street Surgery in February 2014. 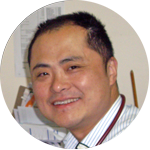 He obtained his Medical Degree in China and then worked for a time in hospitals in Melbourne. Sean recently obtained his FRACGP and we are pleased he is continuing to work at Standish Street Surgery. Special Interest: Aspects of General Practice including minor surgical procedures. James is a fully qualified GP who started his journey in rural General Practice in February 2015 with Standish Street Surgery. 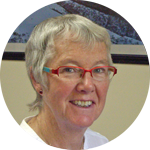 He and his wife reside within the township, and are proud to call Myrtleford home. Special Interest: Prolotherapy for chronic musculoskeletal pain and other associated medical problems one might have. When I first came to Standish Street a year ago, patients would ask “How long are you staying?” Well I’m happy to say Forever!” Myrtleford is unique, in my experience it’s lovely to find a community that accepts outsiders. It’s very egalitarian and diverse. Personally I feel it’s a privilege to look after people from birth to the end of life. People in their own homes, in the Lodges and as in patients I enjoy finding solutions for patients and their families. My background gives me an insight to complementary medicine and I offer obstetric shared care. Qualifications – Bachelor of Health Science (Naturopathy), MBBS (Graduate entry Monash Uni), DRANZCOG (Adv). Personal interests – gardening, family, renovating and learning Italian. Special Interest: GP Obstetrics and Palliative Care. Bill is excited to commence his GP training in Myrtleford in 2016. 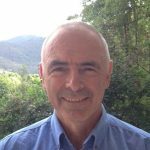 After training in South Australia and The Northern Territory, Bill moved back to the North East and has spent the last two years working with Albury/Wodonga Health. Bill has interests in rural health and emergency medicine. When not at work Bill enjoys cycling, gardening and spending time with his young family. Shannon was really excited to join the Myrtleford team as one of the GP Registrars in 2017. Since graduating from Monash University in 2012, Shannon has worked mainly at Northeast Health Wangaratta as well as spending a year in Melbourne working at the Royal Children’s Hospital. Shannon has interests in children’s and adolescents’ health as well as chronic disease management. Outside of work Shannon enjoys spending time with her family and little boy outdoors gardening, walking and bike riding. 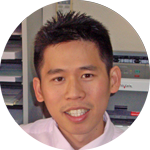 Alan graduated from Edinburgh University and worked as a GP in Yorkshire before emigrating to Queensland in 1990. After 7 years as a GP in Mackay, he then worked with The Flying Doctor Service before returning to hospital medicine, anaesthetics and emergency medicine. He commenced working as a locum at Standish Street in 2014, relocating permanently to the area in 2016.